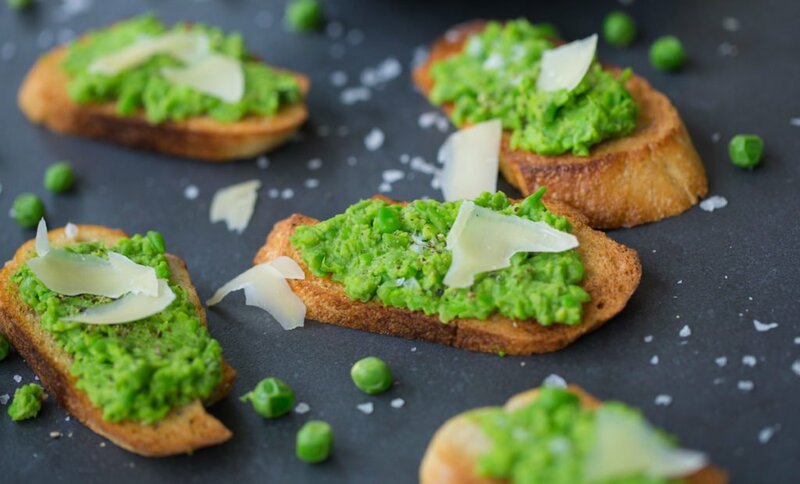 Start the Green Revolution with these fresh & bright little crostini. Basically, it’s frozen peas, fresh mint & lemon whizzed in the Cuisinart & you’ve got a sassy little snack. In a food processor, add the peas, red onion, garlic, extra virgin olive oil and mint leaves. Season with the juice of up to one lemon, salt and pepper. Pretend you are in Tuscany, and serve on toasted baguette, shavings of fresh pecorino cheese on top, and a crispy glass of Pinot Grigio.